conversations or keeping finances completely private isn’t the answer. about money in a comfortable, inviting and safe space. expanded line-up of easy-to-use advice and guidance solutions. rebalances a managed portfolio for you. savings is a serious thing, no matter what the amount. solutions that are right for her now and later. 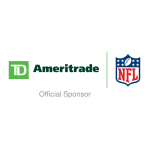 in the first place,” said Tom Bradley, president of TD Ameritrade, Inc.
ages and experience levels, visit https://www.tdameritrade.com/investment-guidance/investment-management-services.page. Inc. are subsidiaries of TD Ameritrade Holding Corporation.